As schools cluster together to help raise achievement for all students, considerations for how this will work becomes a priority. Schools are being encouraged to share their expertise and ‘learn from each other about how best to raise the quality of teaching and learning.’ (Communities of Schools; Making a difference – IES) Blended ways of working (face-to-face and online) could well be one of the best solutions for all. Q: How will key stakeholders come together to build trusting relationships and address common goals – and are there digital tools that can help us do that? Depending on the purpose for a meeting and the numbers attending, encounters can be informal or more structured, but they don’t always have to be face-to-face events. Blended ways of working may offer viable alternatives in terms of funding, timing, and accessibility for all stakeholders, including those from the wider community. Used in conjunction with collaborative tools like Google docs and Onenote, anyone can constructively contribute content prior, during, and in between meetings. The more money invested the better the experience, and, of course, bandwidth is vital. Tips for setting up successful web conferencing can be seen below. 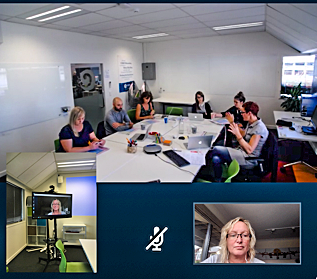 Webinar facilities such as Adobe Connect can be used to host live seminars where presentation material, live chat facilities, sound, and video are projected synchronously. These can also be recorded for anyone to access after the event. The Enabling e-Learningcommunity archives live events in this manner. Participants can be encouraged to ask and answer questions; discuss and share ideas, experiences, and resources; co-construct; collaborate; and delve deeper to reflect on practice through spirals of inquiry. This can be done online over a period of time in a culture of trust and understanding. For more information, see Creating group spaces in the VLN. 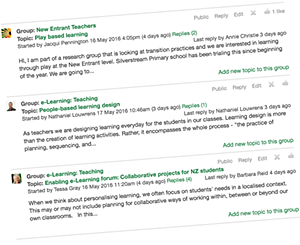 Q: What observations, trends and data can be used to inform collaborative inquiries – and are there digital tools that can help schools share these with each other? There are a large number of digital publishing tools that enable schools to share information with each other. Data visualization tools make visually interactive infographics. These are an effective way to illustrate stories in a clear format, where well-constructed symbols and information (ie: student learning) can be processed much quicker than bulk chunks of text. Quantitative and qualitative data can be represented as graphs, charts, pictographs, flow diagrams, and images to accurately relay important information concisely. 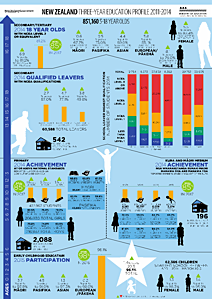 Analysis of the data can help inform future steps for teaching and learning. For further rationale about why you’d use these tools see, Why your brain craves infographics. 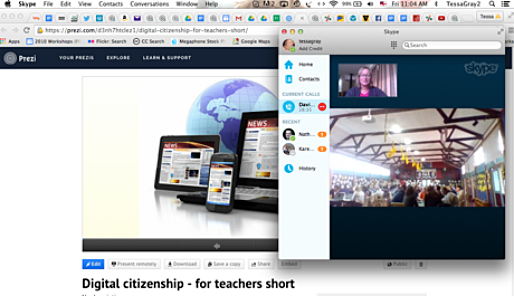 In summary, digital tools can help schools work together as networked organisations, online and off. When used appropriately, they can also help to develop collaborative relationships, facilitate powerful learning opportunities, and act as a catalyst for future action, transference, and transformation. Acknowledgements: Web conferencing slides: by Jim Peterson of Canon (used by permission). 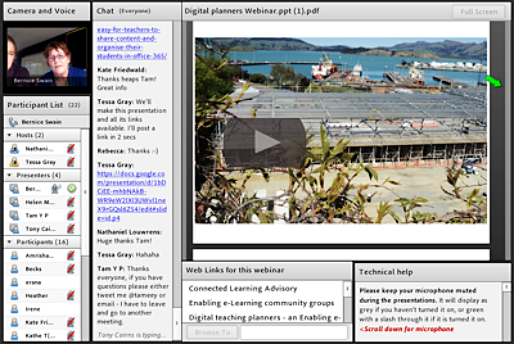 Tessa Gray is an online facilitator for both Enabling e-Learning community groups and Te Toi Tupu — Leading Learning Consortium. She works mainly in e-learning and blended/online facilitation and support of online community development. She has been integral in the development of the e-Learning Planning Framework, Enabling e-Learning, and VLN community groups on behalf of the Ministry of Education. Tessa is a dynamic facilitator, passionate about promoting disucssion on the most effective and appropriate ways of promoting effective learning. Tessa regularly engages online in live virtual events and conversations as well as in schools and at conference events. Internal Evaluation: How can boards of trustees review their effectiveness?